i find a bottle of unopened vodka in my 18 y.o.’s closet and enquire. i don’t know where that vodka came from, she says. is it yours? oh. I just found it in my closet. it came from somewhere, i say and wait. nothing. when I find the $15.67 charge for uptown liquor* on the MC bill, i say something about it. i don’t know what happened, she says. i wasn’t there. okay, maybe I was there. MOM. people were buying liquor and so I did too. i see, i say. it’s hard not to laugh and i fail. 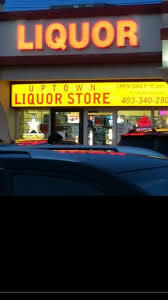 uptown liquor is the portal. if there’s anything you don’t really want to divulge just say you were at uptown liquor and, somehow, you ended up elsewhere. just say, I went to Java. I don’t know how. I was at uptown liquor and it all went downhill. *this post is not sponsored by uptown liquor.